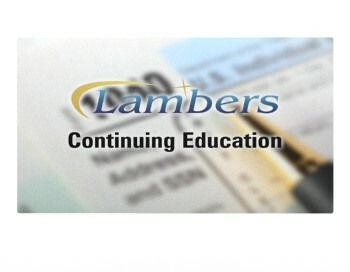 Ethics Update: Circular 230 Changes and Hot Topics – Lambers, Inc. The Office of Professional Responsibility has been issuing sanctions against Attorneys, CPAs, Enrolled Agents, and now unenrolled preparers. Many of these have been expedited sanctions. Find out what these sanctions are and what areas are currently under scrutiny. We will be reviewing not only the sanctions but also looking at the specific events of certain individuals in our “Ripped from the Headlines” segment leading up to the actual sanctions to give you a better understanding of how ethics play out in our current environment. 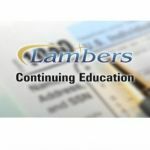 Circular 230 was changed on June 12, 2014 and there were sweeping changes made to written advice given to clients as well as the new Competency Requirement. There are also some new enhancements to the negotiation of refund checks, an area that more susceptible to fraud than ever before due to electronic funds transfers. We also take a look at the role of the National Taxpayer Advocate, and how selecting a qualified and ethical tax professional like yourself is such an important decision for all taxpayers.